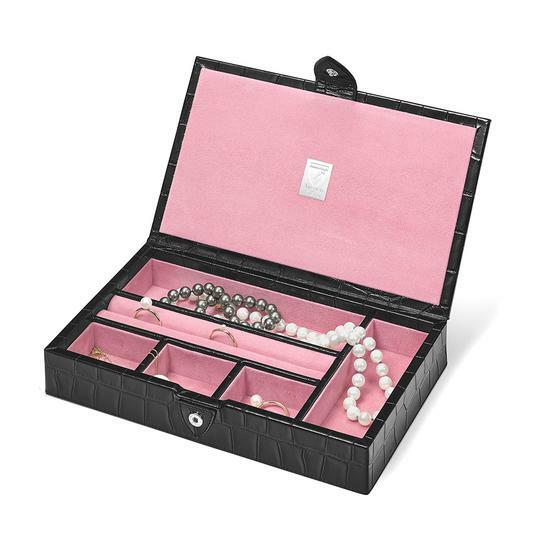 The gorgeous single layer Paris Jewellery Box is perfectly crafted for a few of your favourite pieces. 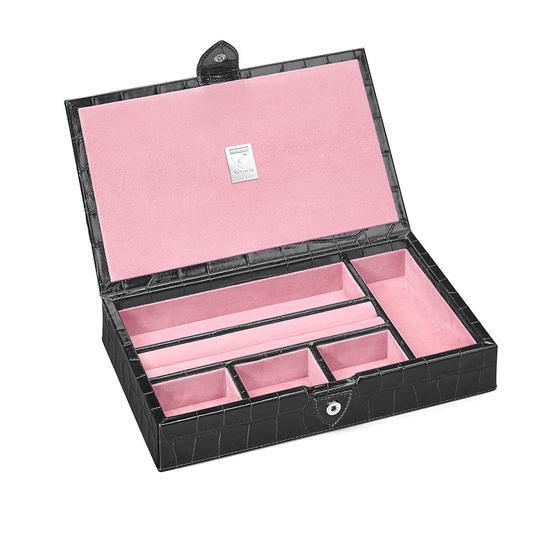 Handmade from charmingly feminine deep shine black croc print Italian calf leather and lined in contrasting signature pink suede, this stunning small jewellery box features a ring roll and five compartments for a watch, bracelets and earrings. 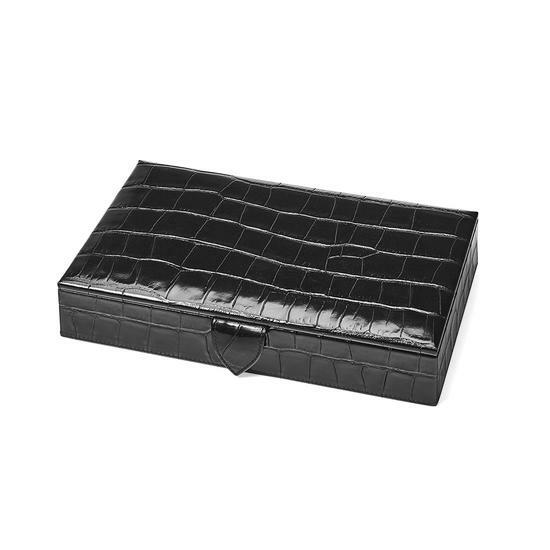 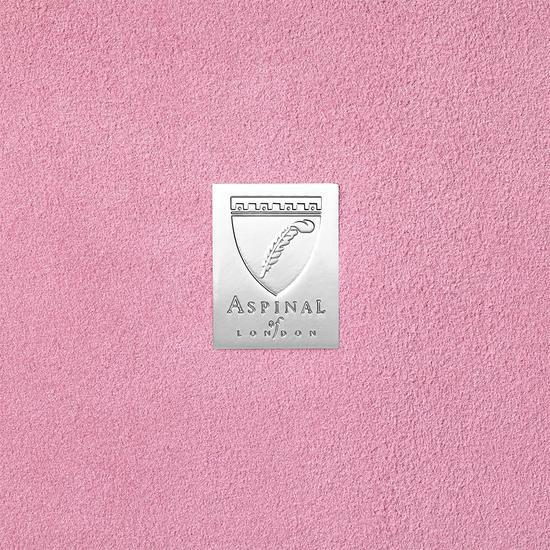 Finished with our signature plaque to the suede lid, the case is secured by a leather tab snap fastener.